Between himself, his wife and close lieutenants, President Muhammadu Buhari has at least 101 aides, NAIJASIMPLE can report. NAIJASIMPLE has obtained a list of presidential appointees serving as aides to President Buhari, his wife, Aisha Buhari, the vice president, Yemi Osinbajo, and other government officials. 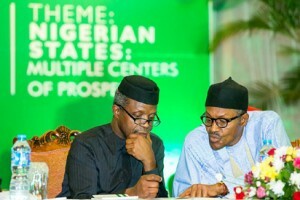 Omitted from the list, by NAIJASIMPLE check, are at least one aide each for Mr. Buhari and Mr. Osinbajo.